February is Great American Pies Month and we’re celebrating this time-tested dessert with a Spiced Pear Hand Pie. Pears are a staple and don’t always get the attention they deserve. Full of flavor, juicy texture and nutrients, we tip our hat to the pear with this unique twist on the traditional pie, blending in a little spice. 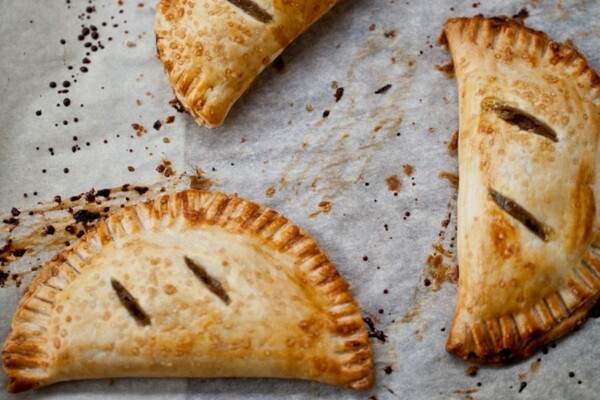 An added benefit is that hand pies are easy to pack for lunch – for you or the kids. They even freeze well, before or after baking. Use prepared refrigerated crusts as suggested, or use a homemade crust. Before baking, vent each pie on the top with two small slits. Brush each with a bit of egg wash. Bake for 20-22 minutes (depending on your oven) or until bubbling and golden brown – it’s okay if you get some oozing out of the top and sides. They’re supposed to be rustic. Allow to cook slightly before eating – the filling is HOT!